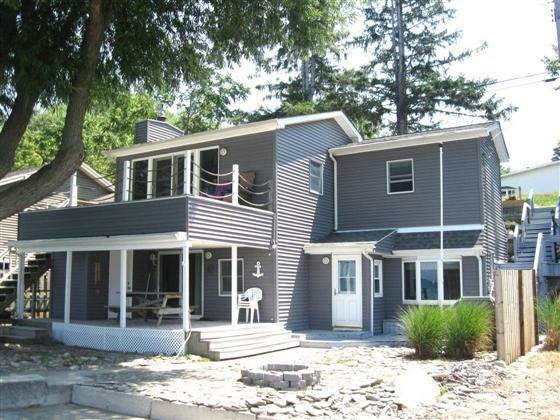 Beach House on the shores of Lake Erie! Fabulous sunsets can be yours. Remodeled throughout - newer roof, windows, doors, kitchen, baths and high-efficiency furnace with central air. Enjoy as your Lake get-away or live in this home year-round. Lots of outdoor living space, including covered patio, upper level deck, and expansive patio under a mature shade tree. 2nd floor sitting room can be used as a second bedroom with full bath. Close to Peek‘n Peak golf and ski resort. Money Back Guarantee.